Thousand Oaks, CA – September 2018… Sterling Audio is shipping its new MX Black Series active studio monitor speakers. The MX Black Series powered monitors are bi-amplified and built for optimal frequency dispersion, delivering clear, articulate sound within a wide “sweet spot.” The new MX Black Series speakers offer outstanding features and performance and sport a matte black finish. MX Black Series monitors feature acoustically engineered, multi-fiber, low-frequency cone drivers that offer excellent damping to minimize sonic artifacts and unnatural resonance. Their silk-dome tweeters are powered by neodymium magnets for a smooth and natural frequency response. A rear-panel acoustic port reduces low-frequency turbulence and distortion. The series includes three models: the MX8 Black, which features an 8-inch low-frequency driver and 1-inch tweeter; the MX5 Black, with a 5-inch woofer and 1-inch tweeter; and the MX3 Black (sold in pairs), with 3-inch woofers and ¾-inch tweeters. 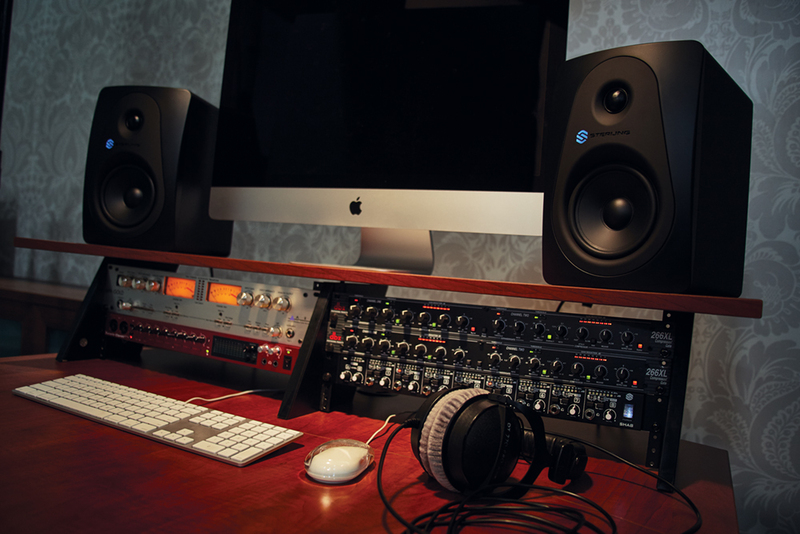 MX Black Series monitors are powered by high-efficiency, low-distortion, Class A/B power amps. The top-of-the-line MX8’s 125W power amp and 8-inch woofer enable it to deliver a frequency response ranging from 37 Hz to 22 kHz. The compact MX 5 is driven by 70 watts of Class A/B power and ranges from 42 Hz to 22 kHz. The portable MX3 delivers a frequency response of 55 Hz to 22 kHz and features a 40W power amp-more than enough to deliver plenty of clean, clear sound wherever you travel. 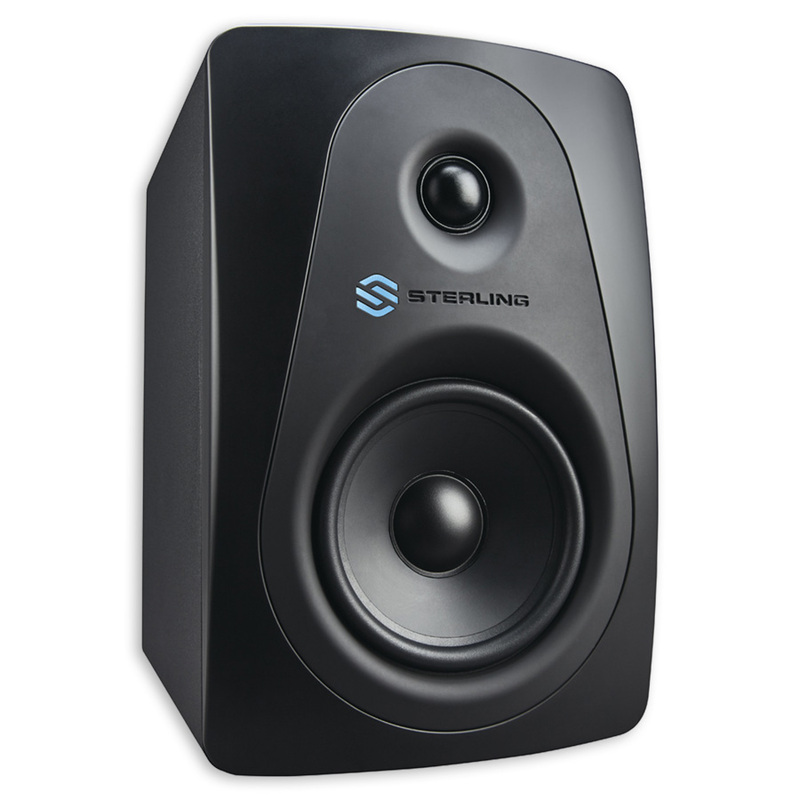 The new Sterling MX Black Series monitors are priced at $99.99 a pair for the MX3, $119.99 each for the MX5, and $179.99 each for the MX8, and are available at Guitar Center stores, as well as guitarcenter.com and Musicians Friend.